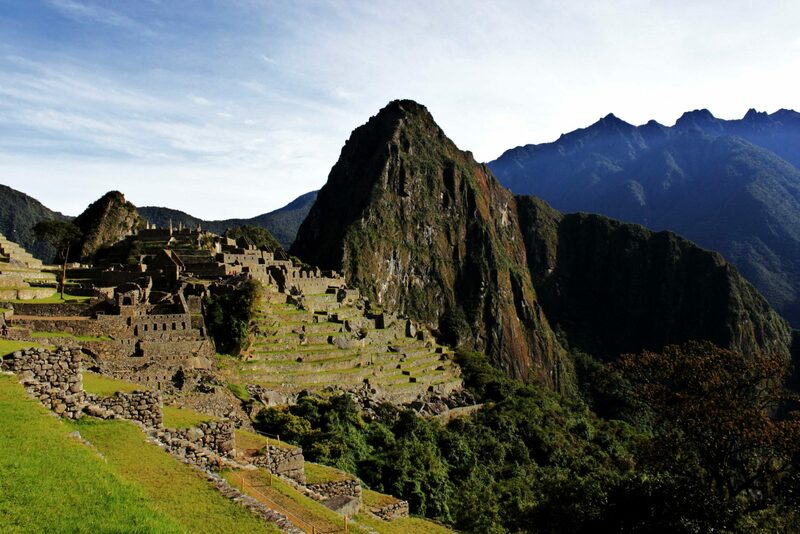 Peru has always been a popular destination – especially among those with bucket lists. But we’re expecting it to be even more popular in 2015. Long after we noticed this trend and decided to dedicate the entire month of January to the “Land of the Incas,” we began seeing Peru pop up on the latest lists of best places to visit in 2015. For starters, it’s on National Geographic Traveler’s list of Top 20 Destinations to Visit in 2015, Business Insider’s 23 Places to Visit This Year and the Los Angeles Times’ list of 15 Destinations for Travelers to Set Their Sights on in 2015. If you’ve been to Peru, you probably understand why it’s such a sought-after destination, but if you haven’t, below is a short list of reasons why you should consider a visit to this incredible country! It can be a family-friendly foreign destination! Our brand new Peru Family: Machu Picchu tour was designed to allow kids as young as seven to experience the cultural wonders of Peru without making mom or dad worry about which activities are age appropriate. Two words: Machu Picchu. This World Heritage Site is one of the most famous archaeological sites in the world. It’s shrouded by mystery – no one knows exactly why it was built – but more than 75,000 people a year make the trip to see “The Lost City.” The most epic part of the trip? Arriving by foot, and note, it’s no longer possible to visit by yourself. All tourists must have a guide or be a part of a group (like ours)! Fun Fibers. Where else in the world can you buy so many soft and silky souvenirs made out of alpaca wool? Of course you’ll also get plenty of neat photo opportunities of other South American camelids including the always photogenic llamas and the more elusive wild vicunas. Cusco. This city is as epic as its elevation of 11,000 ft.! Read why Kasey Austin highly recommends visiting Cusco in her blog post, Cusco, Peru: Don’t Miss It! Legendary Trails. “Half the fun is getting there” definitely applies to a trek along the world-famous Inca Trail which is often referred to as the world’s greatest hike. If you want to choose the path less traveled, try our lodge-to-lodge trek which travels along the Salkantay Trail and leads to the back door of Machu Picchu. Glamping. With the help of native Quechua porters, combine camping with luxury and experience the Inca Trail on a glamping trip. Our glamping trip even includes visits from a massage therapist who helps campers relax and unwind after an adventurous day of trekking! Cruise the Amazon. Make unforgettable memories while floating through the largest tropical rainforest in the world. Meet native villagers in the tiny town of Magdalena (our guides will introduce you) and of course you’ll also encounter tons of wildlife. You can even fish for a variety of piranha! Does the list above leave you even more curious about this fascinating country? Sign up for our free January 14th webinar, Five Ways to Do Peru, and get your questions answered by Dan Austin and Kasey Austin.